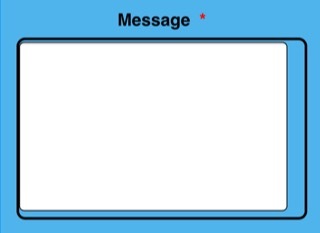 I've applied a border to the fields but as you can see the message field white area is smaller than its black border. I need the White message area to touch the black border. ALL fields outer edges will then be vertically aligned. Cant see where the issue lies ? 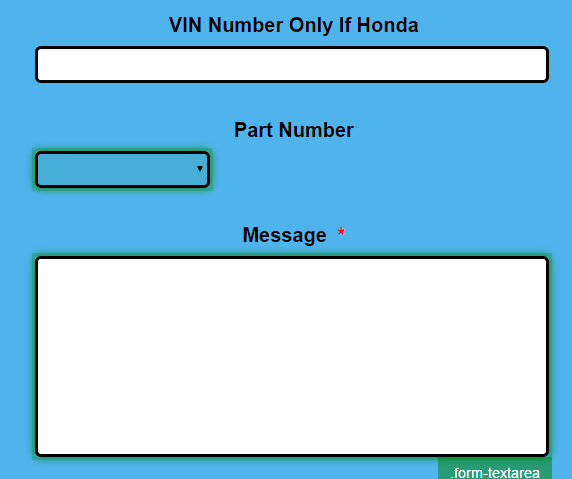 Please inject the following code to your JotForm to have the border to the edges of text-box and textarea fields. The fields should be displaying as shown below after injecting the code above to your form. By doing that the part number field box has moved to the left. It needs to stay centred under the word part number. Please add the following additional code to your form to align the field to center. 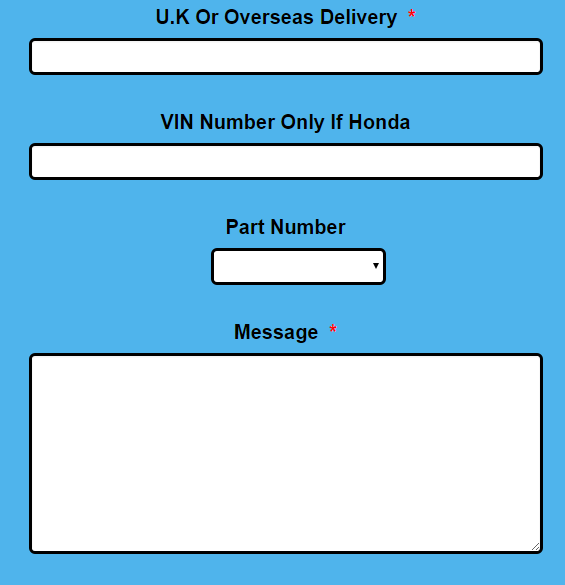 Whilst you are there looking at the email address field you will see the grey text to the left of the field. I've moved your other question to a separate thread and shall be answered shortly.